(Easy Guitar). 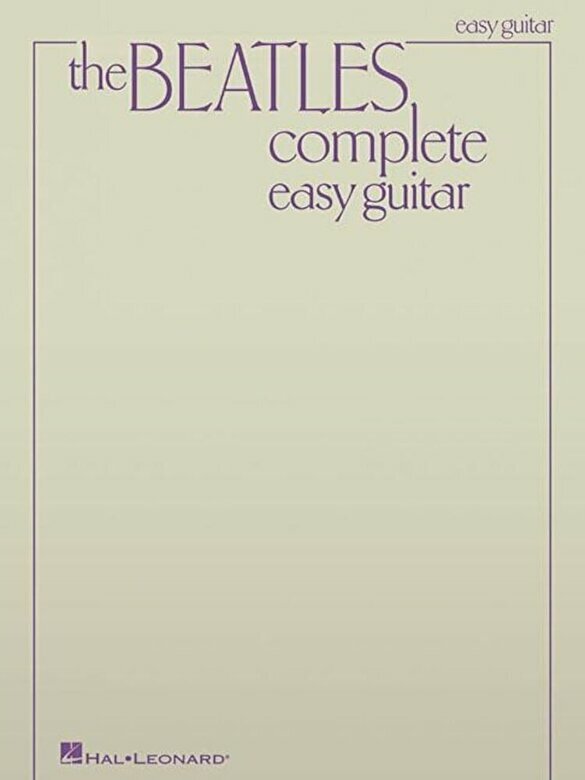 This bestselling easy guitar songbook has been a mainstay on the music stands of guitarists for nearly 30 years This refreshed edition features all-new engravings of the same incredible song list: 155 songs by the Beatles from their classic early hits to their psychedelic later years and every phase in between, this book lets you play through the entire Beatles journey. The music is arranged at an easier level and includes chord grid diagrams. Songs include: All My Loving * All You Need Is Love * And I Love Her * Back in the U.S.S.R. * Blackbird * Can't Buy Me Love * Come Together * A Day in the Life * Day Tripper * Drive My Car * Eight Days a Week * Eleanor Rigby * Give Peace a Chance * A Hard Day's Night * Help * Here, There and Everywhere * Hey Jude * I Should Have Known Better * Lady Madonna * Let It Be * The Long and Winding Road * Lucy in the Sky with Diamonds * Norwegian Wood (This Bird Has Flown) * Paperback Writer * Penny Lane * Revolution * Things We Said Today * Ticket to Ride * We Can Work It Out * When I'm Sixty-Four * With a Little Help from My Friends * Yellow Submarine * Yesterday * You've Got to Hide Your Love Away * and more Please note: this book does not contain tablature.